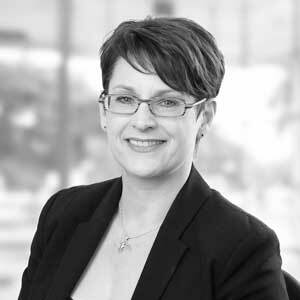 Dr Theresa (Terri) Simpkin is the Higher and Further Education Principal at CNet Training the Program Leader and co-author of the first and only Master’s level qualification in leadership and management specifically tailored for the Data Centre context. The Masters Degree in Data Centre Leadership and Management is a world leading program designed to provide learners with an overarching understanding of the complexity of business management and leadership in data centres. Terri has enjoyed a successful career which spans academic leadership at Anglia Ruskin University, general management and human resources management in the private sector. She founded her own strategic human resources and professional development consulting company and worked with SMEs, large corporate clients, industry associations and government agencies in Australia for over a decade. Managing complexity and designing business wide, integrated change interventions is a particular professional interest and capability. Terri holds qualifications in business management and degrees in both Human Resources Management and Commerce. Her PhD was inspired by the challenges of skills and labour shortages faced by businesses due to complex labour market evolution. Her current areas of academic interest are the business implications of the second machine age, gender issues in the Data Centre sector and emerging leadership paradigms. She is a chartered member of the CIPD and AHRI, a member of the Infrastructure Masons and a Churchill Fellow.